The game of golf may be two parts talent, one part karma, but such allocations are reversed on the greens, where divine intervention often can determine whether the ball finds its intended target. So how can a player increase the karma? Start by wielding the Pink Putter. 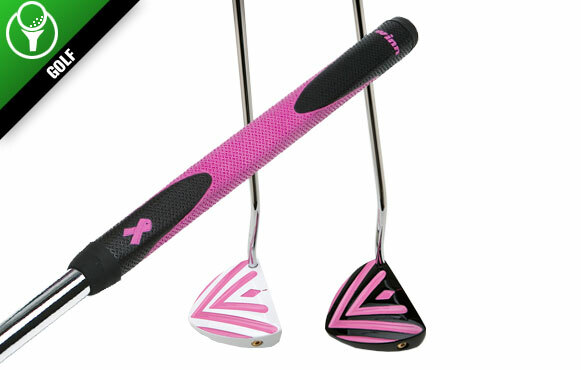 Proceeds from purchases of this flatstick go toward funding breast cancer research, but it's hardly a novelty act. The club's arrow-shaped design aids alignment, and its heel-to-toe weighting system disperses weight away from the center of the instrument. The putter itself is good enough to help find the bottom of the cup more often, but hey -- a little positive karma never hurt, either.